We will leave Uyuni around 10.00 AM. First stop is the train cemetery where you can see the rusty old trains lined up. Next stop is at ´Colchani´ where we can observe the process of extracting the salt. 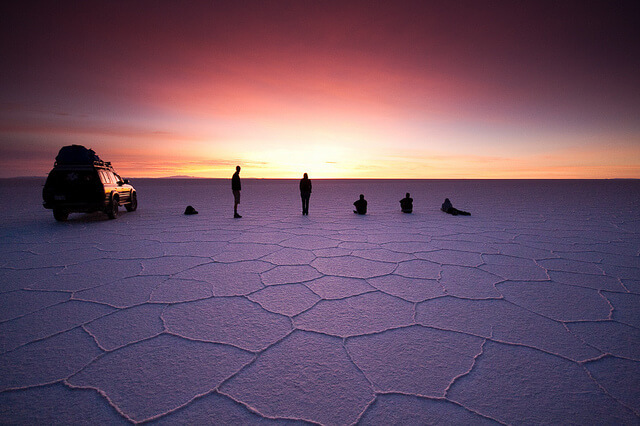 From there we will ´enter´ the Uyuni salt flats and drive to ´Isla Pescado´ where we can see giant cactuses. The island is called Isla Pescado because it looks like a fish when you see it from a distance. It is the only sign of life for miles. We will have lunch here. After lunch we will continue our trip to San Juan where we will spend the night in a hostel partially made of salt. At 07.30 (right after breakfast) we will visit salar de Chiguana and the Ollague volcano which is semi active. Afterwards we will see some small lakes with different colours where we can observe flamingos. Lunch time! Alter lunch we will drive through the Siloli desert where we will find the tree made out of stone. 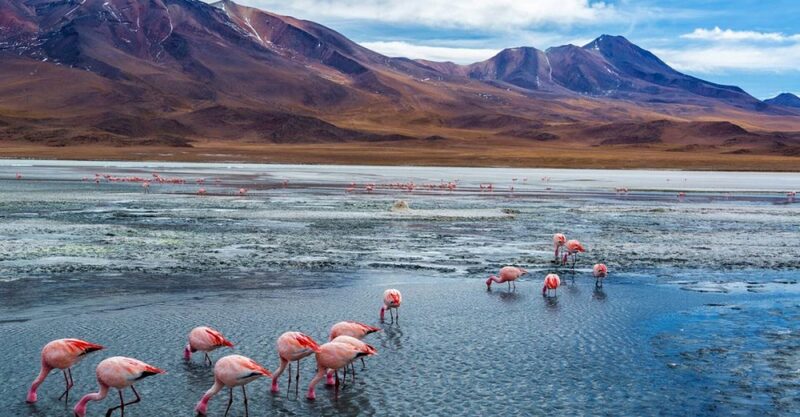 Next stop is the spectacular Laguna Colorada (red coloured lake) where we can spot 3 different species of flamingos. After visiting Laguna Colorada we will continue our journey to Huayllajara where we will spend the night in a VERY BASIC refuge. We cannot emphasize enough how basic this place is but there are no alternatives apart from the LOT more expensive Tayka Desert Hotel. It can get very cold at night (in the winter –20 degrees Celsius!). 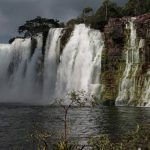 Today very early at 05.30 am we will visit the geysers of Sol de Mañana and we can take a bath in the hot springs of Polques (the temperature of the water is approx. 30 degrees Celsius). After this relaxing bath we will have breakfast and we will continue our trip to the desert of Salvador Dali where we can enjoy the view of surreal landscapes. From there on we will go on to Laguna Verde, although Laguna Verde is not that green early in the morning. We are really close to the Chilean border now. 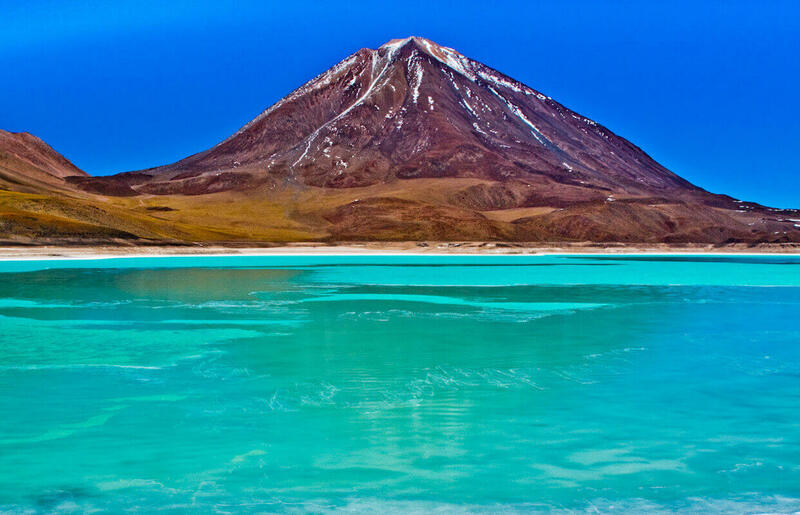 People travelling onwards to San Pedro de Atacama (Chile) will take transport from here to San Pedro (around 10.00 AM but subject to change) by either public bus or private transport. The public bus will arrive in San Pedro around 11.00 / 11.30. The people returning to Uyuni will take the same way back with the addition of visiting the rock valley of San Cristobal with its picturesque colonial church. We will be back in Uyuni around 18.30. IMPORTANT! Please take notice that due to climate and road conditions these routes may vary and can sometimes be changed, reason for which this the itinerary above is a reference itinerary. 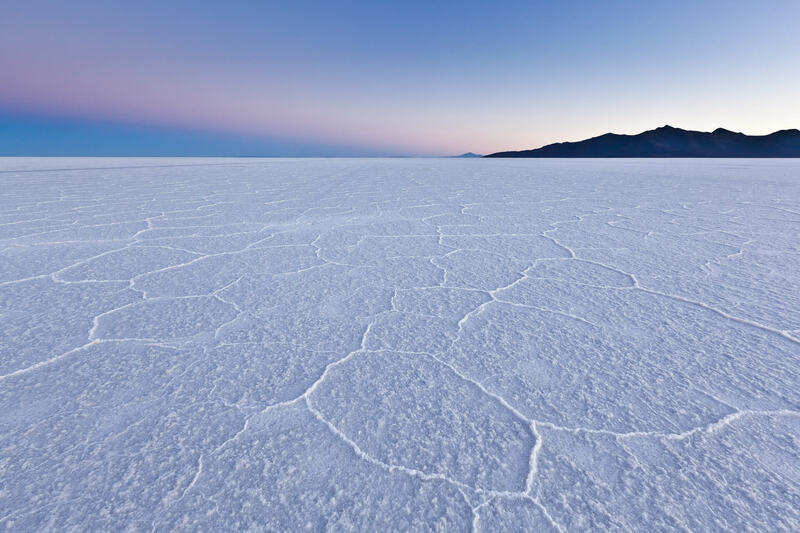 In case of too much water on the Uyuni salt flats it is not possible to reach Fish Island and to cross the Salar by car. 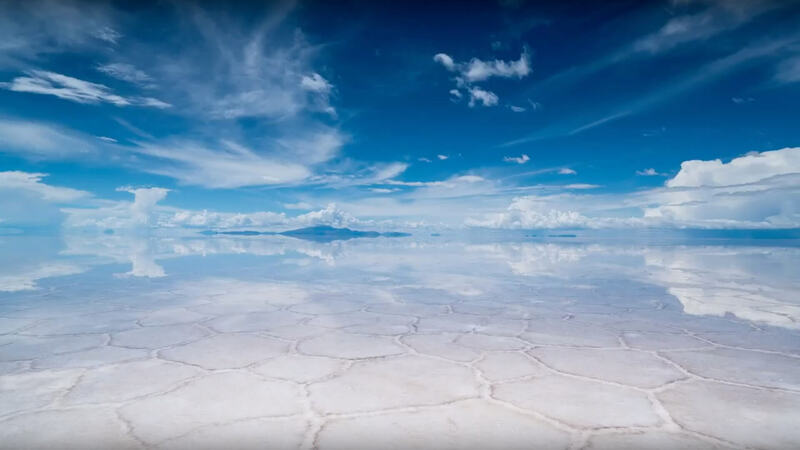 You can still visit the shores of the Uyuni salt flats though. Sometimes with too much water on the Salar it is not possible either to sleep in the salt hostel. 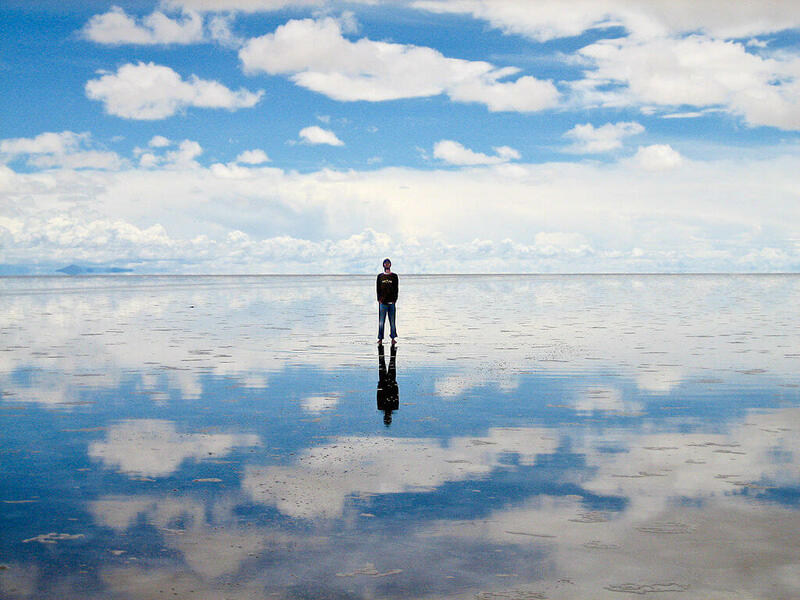 Check our page about how to travel to Uyuni. in advance so we can check availably in the hotels. 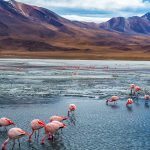 Apart from the basic tour as described above, we also offer a more upmarket tour on the Salar de Uyuni, with better hotels and private transport.